November marks 25 years for the Executive Association Solent and we are looking forward to a fantastic lunch. 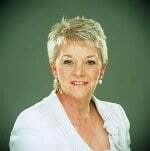 Our speaker for the 25th Anniversary Luncheon on 14th November, Dianne Thompson, who recently retired as Chief Executive of Camelot after 14 years. She is an exciting speaker who has just bought “The George” in Yarmouth, Dianne is keen to get into the hotel business with the help of Andrew. I am sure she will be a speaker, not to be missed. The Executive Association was founded in San Francisco in 1916 and was introduced to England via London in 1929. There are over 110 official Executive Associations around the world, representing over 5000 Member Firms. This entry was posted in News on October 15, 2014 by splice.